Our group has developed a chemo-genetic hybrid-tagging approach that allows us to target and activate various fluorescent dyes at specific subcellular locations in cultured cells and living zebrafish embryos. Specific dye-binding single chain variable fragment antibodies are selected for dye activation properties using high-speed fluorescence activated cell sorting, resulting in a diverse collection of fluorogen activating proteins. Subsequent engineering of the dyes allows us to dramatically alter the biological and spectroscopic properties of the fluorescent complexes formed with the proteins. By linking these fluorogenic dyes to other environmentally sensitive donor or acceptor dyes, we produce unique genetically targeted and ratiometric physiological indicators that are only active when targeted to these subcellular locations. We have produced sensors that respond to changes in local pH, reactive oxygen species, Ca(II) and other physiological analytes. Genetic fusion of specific affinity molecules to the FAP protein can be exploited to make compact tagging proteins that allow use of the wide diversity of modified fluorogenic dyes to visualize and analyze endogenous receptors on living cells and in small animal studies. Dyes with unique photochemical properties enable chemo-optogenetic manipulation of living systems from manipulation of specific proteins to ablation of distinct cellular lineages. Dr. Bruchez develops new approaches to paint living cells and organisms to reveal their inner workings. As a graduate student, he modified quantum dots – nanometer-sized crystal particles – so that they could be used to label cells, leading to the formation of Quantum Dot Corporation, which grew these materials into a significant and commercially successful tool for single molecule detection and for multicolor analysis of cells. 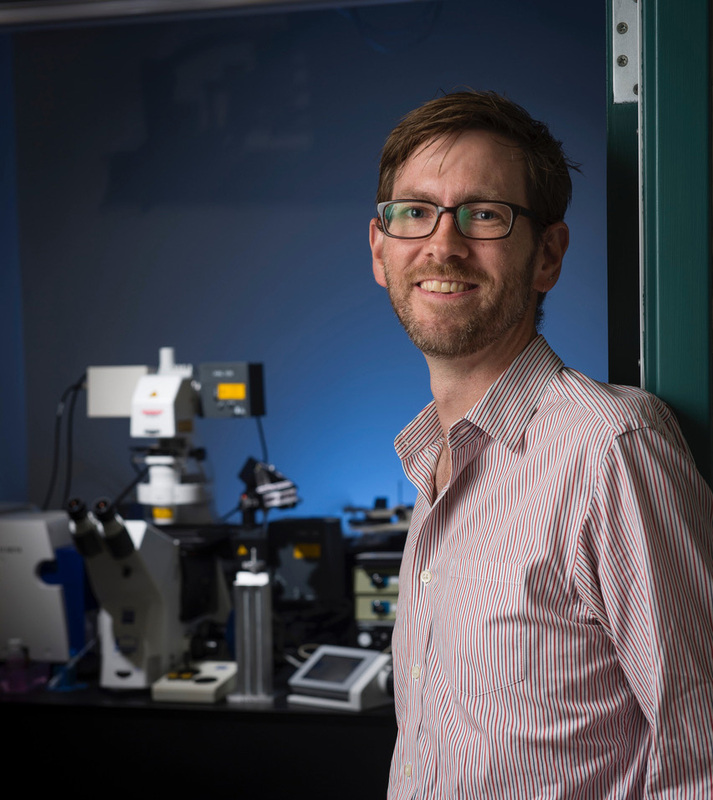 At Carnegie Mellon University, Dr. Bruchez is developing new tools to study of how protein synthesis, trafficking and degradation is coordinated and regulated in biological systems, and using light to measure and manipulate biological processes in living organisms. His spinoff company, Sharp Edge Labs, is using technologies pioneered in his lab to identify and develop new therapies for neurodegenerative disorders and other genetic diseases. Dr. Bruchez received a B.S. in chemistry from the Massachusetts Institute of Technology, and a Ph.D. in physical chemistry from the University of California at Berkeley.